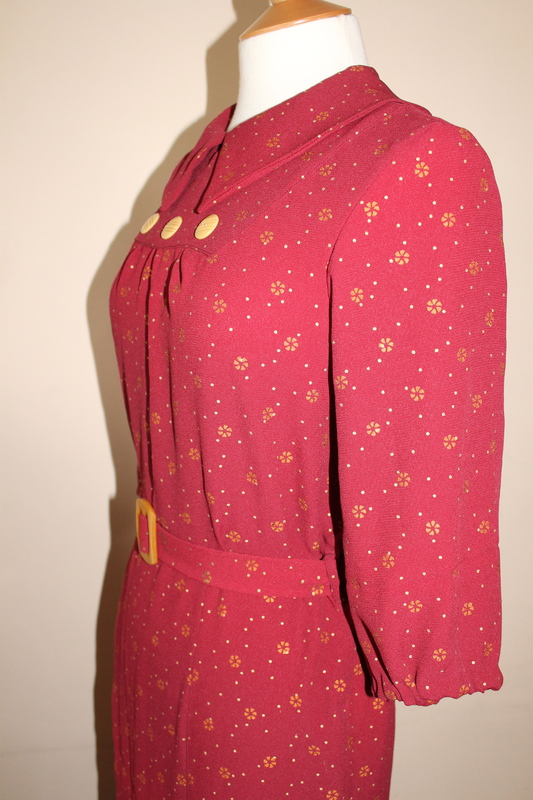 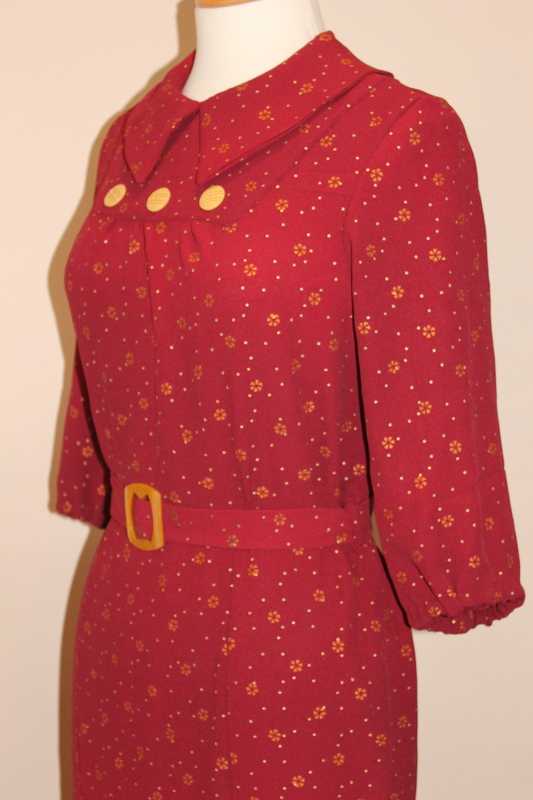 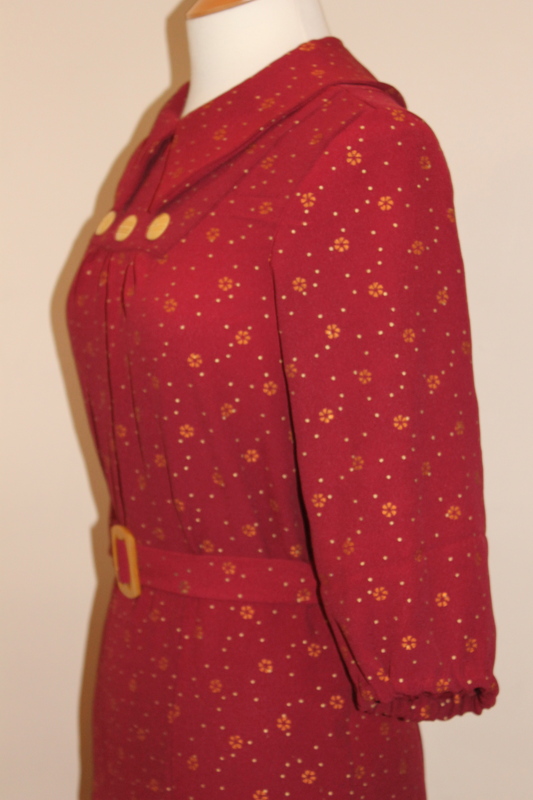 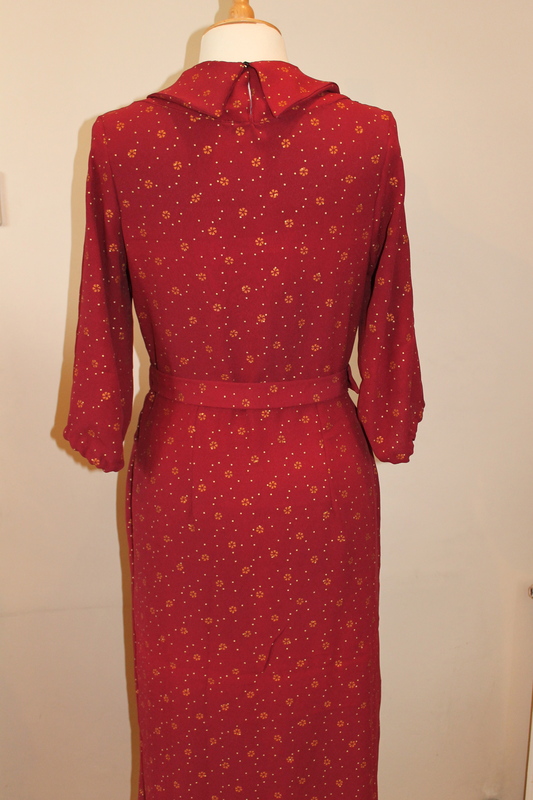 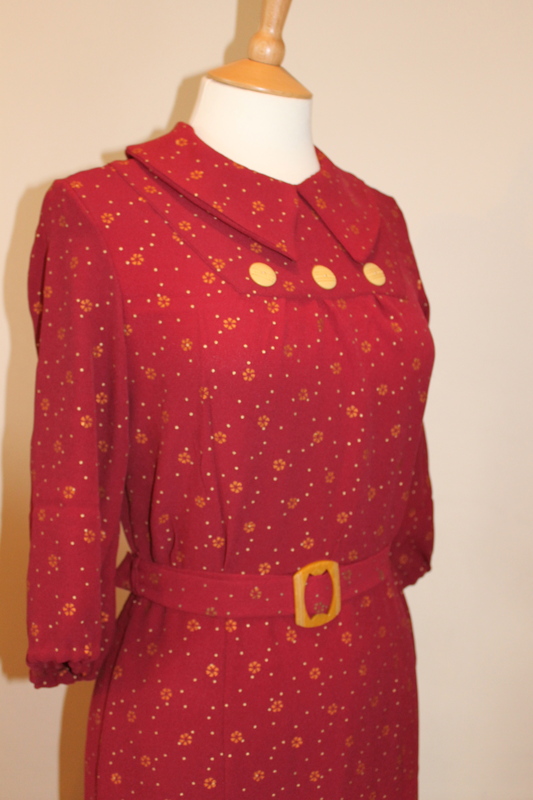 This burgundy beauty was made of original printed 1930s vintage rayon, with 3/4 length sleeves, a small yoke with light yellow bakelite buttons and a darker shade of yellow bakelite buckle. 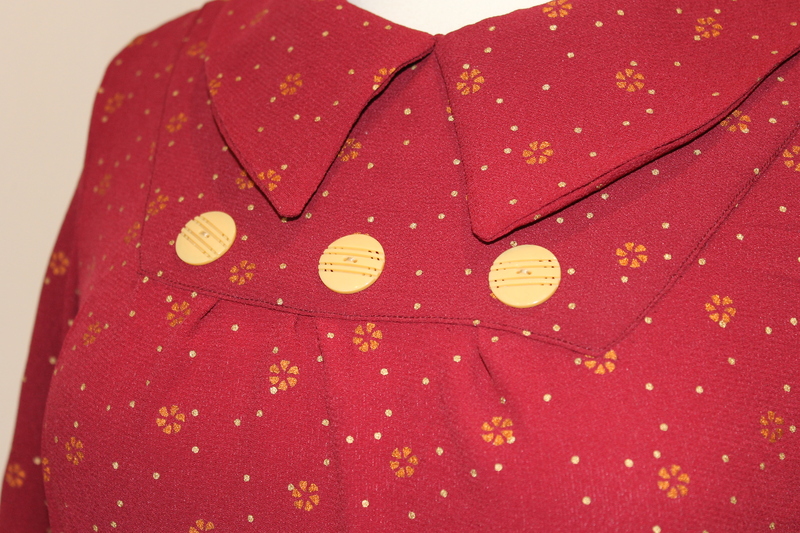 It has two pleats down the front and collar closes with a hook at the back. 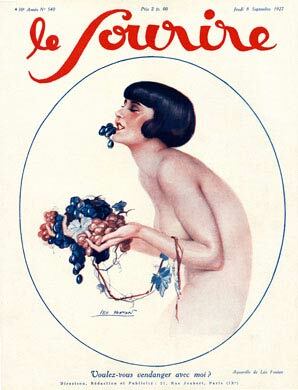 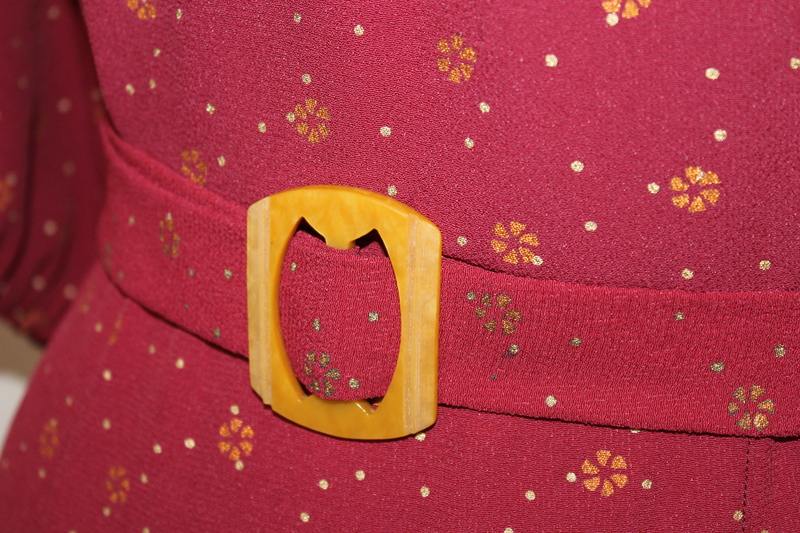 ohhh what delicious coats! 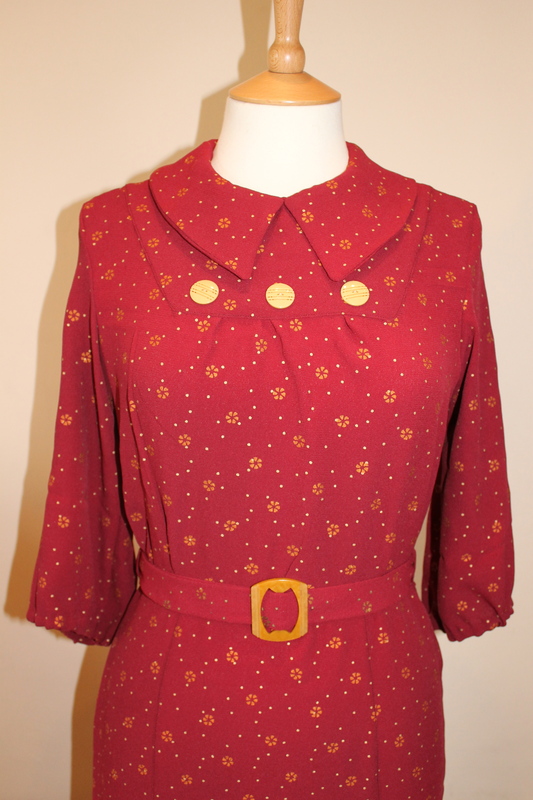 I am of course eyeing up the buttons and belts as that is what I do, I sell buttons and vintage bits and pieces! 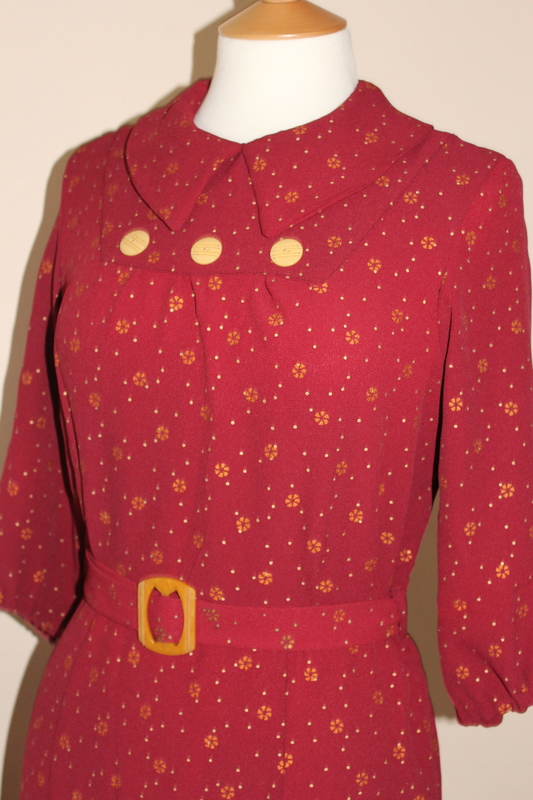 Do come along for a look at Bird’s Vintage Buttons on facebook and if you ever need a special button please drop me a line and I’ll be happy to help !